ASPEN – A 50-year-old man who was visiting Aspen died Tuesday while hiking Highland Bowl. Leif Borgeson, the snow safety director for Arapahoe Basin, collapsed while hiking the ridge at the bowl, said officials with A-Basin. “We believe it was a medical fatality,” said Aspen Skiing Co. spokesman Jeff Hanle. Hanle said Aspen Highlands ski patrol carried rescue equipment to the snowcat drop-off and then ran to assist Borgeson. Advanced life-saving measures were performed on scene and during transport down the mountain and to Aspen Valley Hospital, but he remained nonresponsive. Highland Bowl and Deep Temerity were closed for about 90 minutes during the incident. Borgeson worked at Arapahoe Basin starting in 1990, joining the ski patrol after patrolling at Keystone for several years. He worked in various capacities including medical coordinator, paramedic, snow safety supervisor and most recently as snow safety director. He was instrumental in creating Arapahoe Basin’s avalanche procedures and protocols and was recognized nationally for his work on the study of avalanches, a press release from A-Basin said. Between 2001-2004, he worked for the National Ski Patrol as its training director. Before joining Keystone in the 1980s, he worked as a patroller at Arizona Snowbowl and as a U.S. Forest Service Hotshot firefighter in Flagstaff, Ariz. In addition, he served as a paramedic for Summit County Ambulance Service in the early 1990s. Borgeson is survived by his wife, Denise Schmidt-Borgeson; his two sons, Ian and Aidan Borgeson; his parents and his brother. 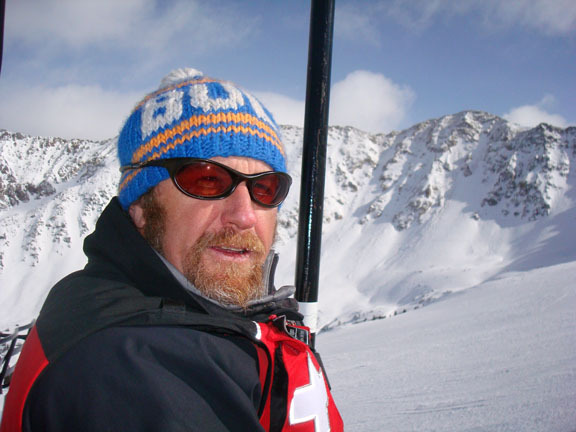 “There is no doubt that Leif will be missed by the entire Arapahoe Basin team. … Our thoughts and prayers are with the Borgeson family,” the press release said. Plans for memorial services will be announced at a later date.